Having travelled to Australia in my 20’s to ‘find myself’, I discovered a wonderful Naturopath and decided this was a career route that appealed to me. Together with a dislike of the orthodox system (years of visiting doctors with ear problems and excessive amounts of antibiotics), I believed there must be a natural alternative to prescription drugs. Fast forward fifteen years and here we are. Two children, a job, a house and a partner to add to the mix, it seemed a perfect time to embark on my ‘natural’ journey. The Science Access course was a steep learning curve coupled with an undiscovered love of science, which I’m now trying to pass onto my son. The lecturer, Jack, was lovely, but at times I wanted to scream ‘I have no idea what you are talking about’! Other times I just wanted to cry. I ploughed on through, receiving a fantastic mark for the chemistry section of the course. I happily skipped through year one, the only hiccup was me thinking I had every ailment we were currently learning about. This subsided and my fears are now focused on the teaching clinic! Year two has been the most challenging, at times thinking the stress of the workload was actually going to kill me. That said, it’s great to meet every month with like-minded people, whom like me, don’t want to eat gluten. Not because it makes us bloat but because of all the other reactions it ‘may’ cause. I am now in my third year, on occasions I felt like I was drowning in life, study and work. As I embark on the final stretch, there’s excitement (I’ve almost completed the course, can change my career and practice nutrition professionally), trepidation (the training clinic awaits me) and a tinge of sadness that this will be my final year of monthly weekends in London, fun and laughter with new friends and regular visits to Itsu. It has been hard work and a significant financial commitment but it has genuinely changed my life, my family’s (and some friends’) lives. What I have learnt during this process I now apply day-to-day, reaping the benefits emotionally and physically. I am excited by the prospect of practising nutrition professionally, making a real difference to the health and wellbeing of others. 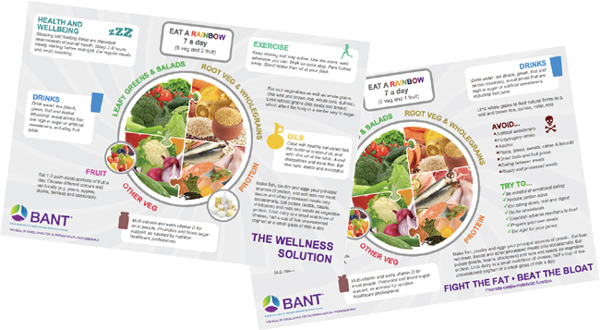 You will all be aware of the importance of the BANT Practitioner Search to both BANT membership and the general public seeking Nutritional Therapy practitioners. The BANT technical team at ITechLogistics has been conducting a review of the search, employing industry analytics and analysis techniques, so that the tool can be improved, providing a better return for you, our members. Welcome to the October issue of BANT ENews, this month’s focus is on our microbiome, with a fascinating insight into the microbiome by Tim Spector, PhD, Professor of Genetic Epidemiology, King’s College London. BANT Supervision has been in the news with our new online pilot, to help you find out more about Supervision and why it is so important for our members, this month’s ‘Spotlight on the BANT Website’ feature focuses on this really important topic. Access the BANT news here. Welcome to the October issue of BANT ENews, this month’s focus is on our Microbiome, with a fascinating insight into the microbiome by Tim Spector, PhD, Professor of Genetic Epidemiology, King’s College London. BANT Supervision has been in the news with our new online pilot, to help you find out more about Supervision and why it is so important for our members, this month’s ‘Spotlight on the BANT Website’ feature focuses on this really important topic.